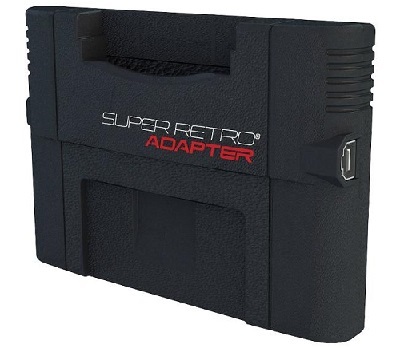 The Super Retro Advance is a device that plugs into a Super Nintendo and allows you to play GBA (but not GB&GBC) games. 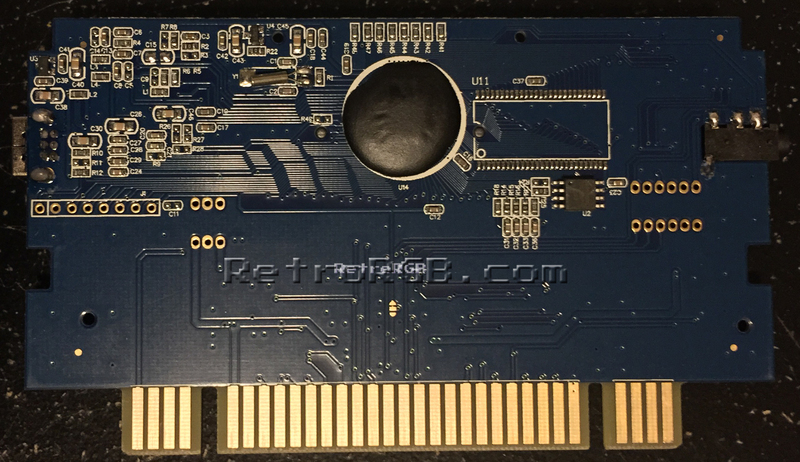 Unfortunately, it requires the use of it’s own composite video output and can not use the outputs of the SNES. I believe the Tototek adapter is the same exact thing, just re-branded. I’ve been getting emails about the Super Retro Advance ever since I launched a GBA section. To be honest, I never had any interest in it, due to it’s output being limited to composite video, but I thought I’d finally give it a try. I decided the best way to test the SRA was to play one of my favorite games: Metroid Fusion. I played on my NEC XM29 RGB monitor and I was surprised: The video quality wasn’t as bad as I assumed it would be. The aspect ratio is a bit off, but it allows the game to fill the whole screen. While I’d always prefer to play game in their original aspect ratio, the different isn’t nearly as bad as playing a 4:3 game stretched to 16:9. The top of the screen was also cut off a bit, but it didn’t seem to effect gameplay. – The audio output of the GBP was much better. – The aspect ratio and RGB-output made the game feel totally different. I continued to play on the GBP for another 20 minutes, just to compare. 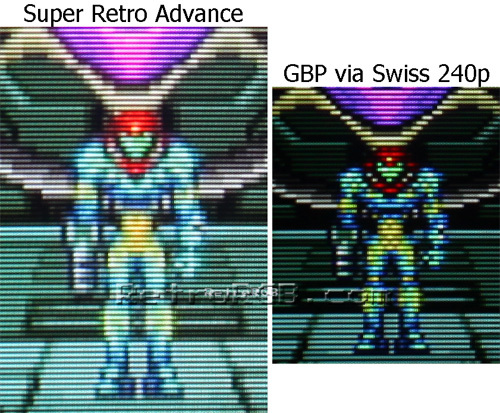 One thing I’ll mention is that while the GBP in “normal” mode looked great, “Full” (stretched) mode actually looked worse then the SRA, due to a blurry image and bad screen stutter (once again, more info about Normal and Full modes is available on the GBP page). After playing on the GBP for awhile, I switched back to the SRA. Surprisingly, the first thing I noticed was the audio. It’s not “bad”, it’s just not as good as the original. As strange as this may sound, I really didn’t mind switching back to composite video and the wrong aspect ratio. I’d prefer the correct aspect ratio, but it was really nice to play the game in full screen. 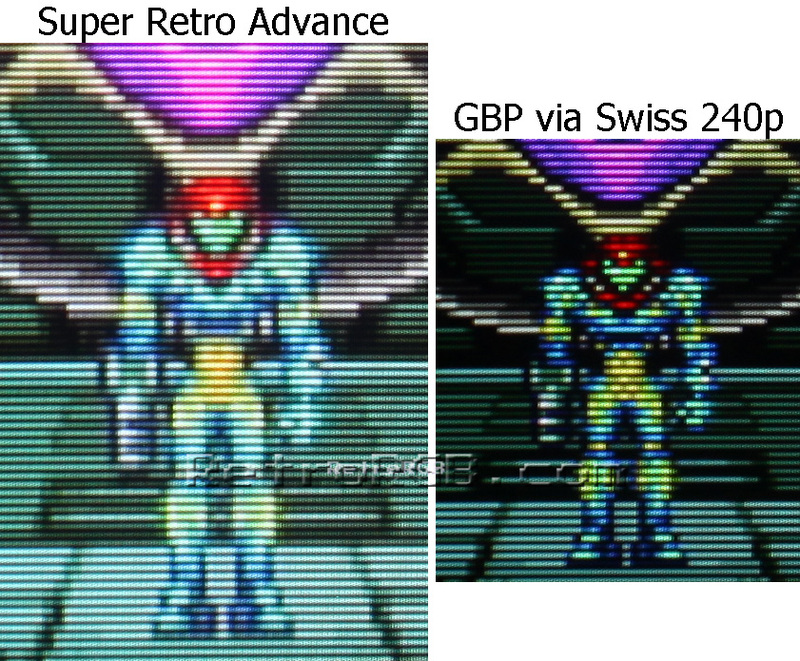 If given a choice, I’d rather play on the GBP via Swiss 240p, but the SRA really wasn’t bad at all. Also, the horizontal scrolling was really smooth; As good as any other GBA-on-TV solution. I was starting to see why so many people were recommending it. I’d be interested to see if anyone could turn this into a stand-alone console that didn’t require a SNES. Overall, I was pleasantly surprised by the Super Retro Advance. The aspect ratio and cut-off screen didn’t bother me as much as I thought and it was fun to play GBA games in fullscreen. Also, the composite video output didn’t look too bad and the sound issues were tolerable. If you don’t already own a Game Cube, but you do own a SNES, this is a good, cheap solution. 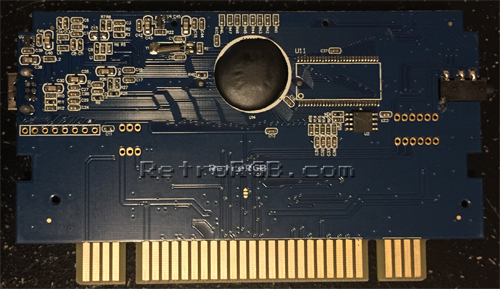 That being said, the overall cost of a SNES system, plus this adapter is about the same as the cost of a Game Cube, Game Boy Player (you can get those cheap without a boot disc), mod chip (or SD loader) and S-Video (or RGB for PAL GC’s) cables. 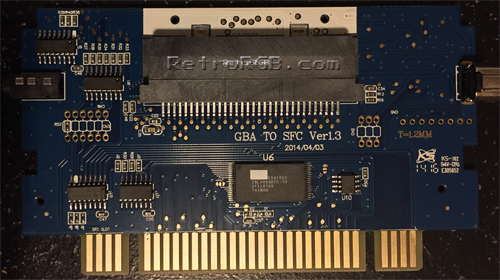 When comparing it that way, the Game Boy Player in 240p via Swiss is a much better choice overall…especially because it also supports GB and GBC games. Please click here to go back to the GBA page, or check out the main page for more retro-awesomeness.